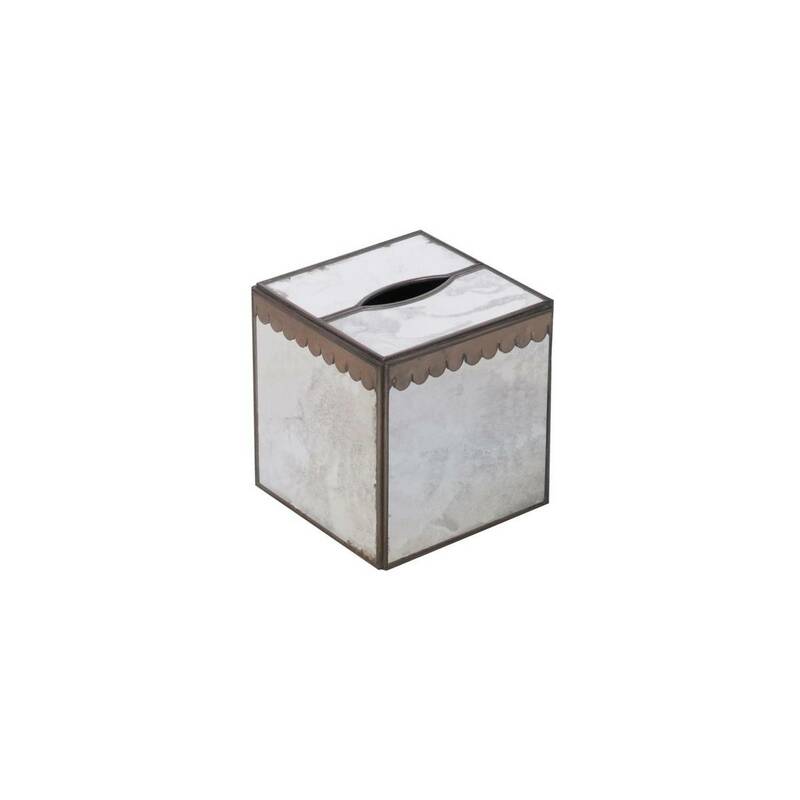 Scalloped edge kleenex box . 5.75h x 5w x 5d. Waste basket sold seperately.